So, let’s explore more about pandas sort functionality. 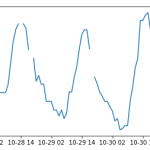 Earlier pandas library was supporting sorted function But it function is deprecated in recent releases of pandas. We can use pandas sort_index function to sort above dataframe based index. 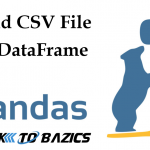 For sorting dataframe based on the values of a single column, we can specifying the column name as an argument in pandas sort_values() function. For reverse sorting (sorting in descending order) we can set ascending=False in sort_values() method. With pandas sort functionality you can also sort multiple columns along with different sorting orders. For that, we have to pass list of columns to be sorted with argument by=. Additionally, in the same order we can also pass a list of boolean to argument ascending= specifying sorting order. Let’s sort our dataframe by lowest accommodates and higher review count. Let’s create the same dataframe with missing values in review count. In any sorting order, NaN values will always be placed at last. To change that default behavior we can specify na_position=’first’ as an argument. Let’s create dataframe with multi level indexes. In above dataframe we have two level index. Now lets sort dataframe decending host names indexe with ascending year of joining index. In above dataframe you can see that there were two hosts named ‘Maarten’ joined in years 2012 and 2014. Hope you njoyed the post. Stay tuned for such more posts on pandas.!!!! !